Hi everyone, I hope that you are doing good. We've had a lot of snow the past few days and this weekend was filled with relaxing moments with friends and family and lots of good food. I love this time of the year when everything starts to slow down, don't you? Have you finished all of your holiday shopping yet? If not, I will tell you about a great spot to shop in Europe if you are still on the prowl for nice gifts. 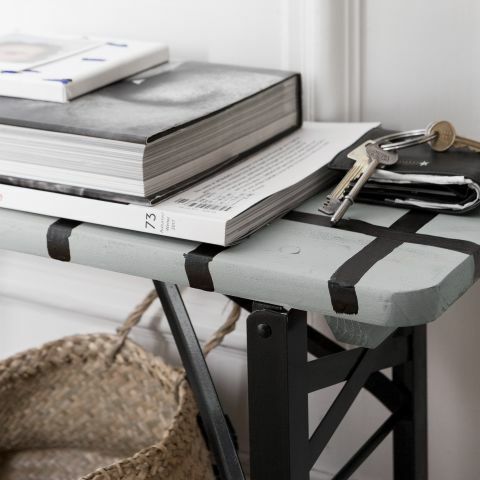 I went to Granit in Hamburg earlier this year and now, I've shopped them again for some things to cozy up my home. In fact, I picked up linen cushions, a wooden bank, a zinc plant holder, string lights, a tee-pee for Aidan's bedroom, and a lovely fur throw. Tomorrow here on decor8, I'll share how everything looks all set up in his room - I need to take some photos for you because it's very sweet! The tee-pee is his new reading nook and a spot where he can dream and play during these cold, winter months. I can't wait to show you! But first, here are 9 things from Granit that I love - I consider them all useful and also decorative, and I believe that they will stand the test of time despite how trends come and go. And if you are living in Germany, I have good news for you... This Swedish design staple now has 4 stores here (the closest to me is located in Hamburg, there are two in Berlin (I shopped there over the summer at Granit in Mitte) and also you can go to Granit in Cologne. I hope they'll open in Hannover because it's really the perfect spot for them - fingers crossed! Granit has an online shop in Germany too though so it's easy to buy online and for the rest of Europe, here is their EU shop. 1. Buchstabentafel Klein / Letterboard, Small (shown above). These are fun to put inspirational quotes on, and to change them up as you need to. 2. 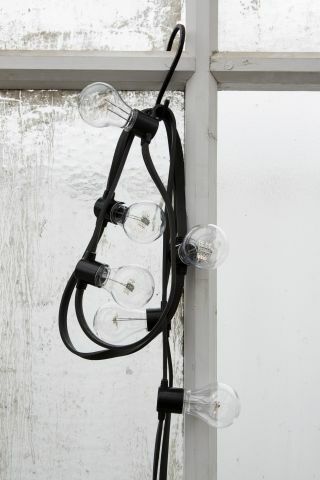 Lichterkette 10 Lampen LED / String of LED Lights - Totally versatile and I like the black mixed with the large bulbs, looks industrial and they're great for indoors or out. 3. Zelt Tipi / Ivory Teepee - This was so easy for me to set up and it's very sturdy too! 4. Korb Gummi mit Deckel Groß / Large Rubber Container - I like these rubber containers for plants or to use as paper bins for the office. 5. Blumentopf/Schale Beton Gerade / Cement Flower Pot with base - Gorgeous for bulbs this time of the year. 6. Lichterkette Ball 80 Lampen LED / Twinkle LED light string - I like these in white and the fact that their are 80 of them, wow! 8. Pflanzenampel Einfach Schwarz / Black plant holder - I love seeing these with glass pots for plants, looks so unique! 9. 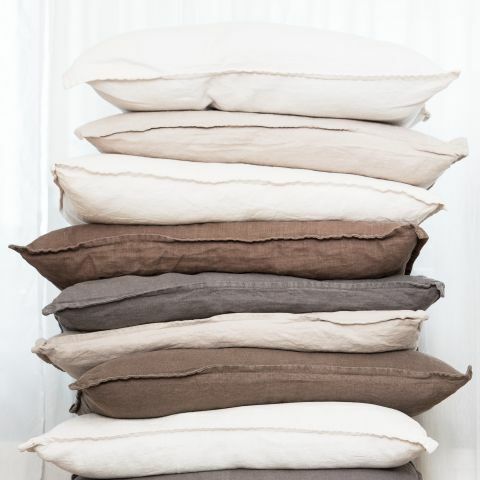 Kissen Leinen Weiß / White linen cushion (other colors are available). I like these because the quality of the linen is so, so good and the fillers are great too - plus they are big and cozy to cuddle with. 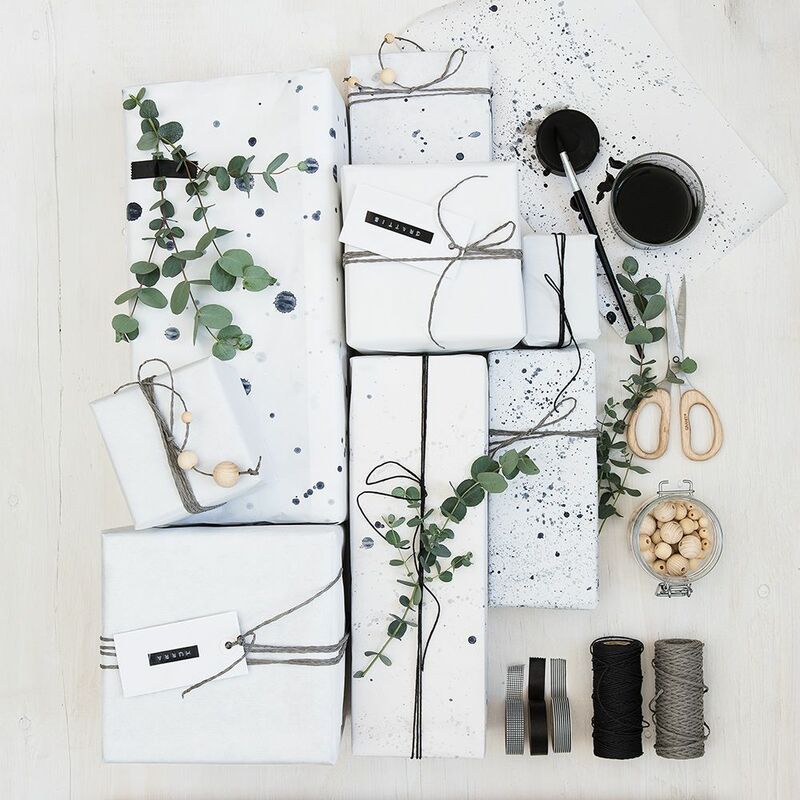 And to "wrap" up this post, I need to show you some very simple Scandinavian ways to wrap your holiday presents, and everything you see can be purchased in the office supply section of Granit in-store or online here. 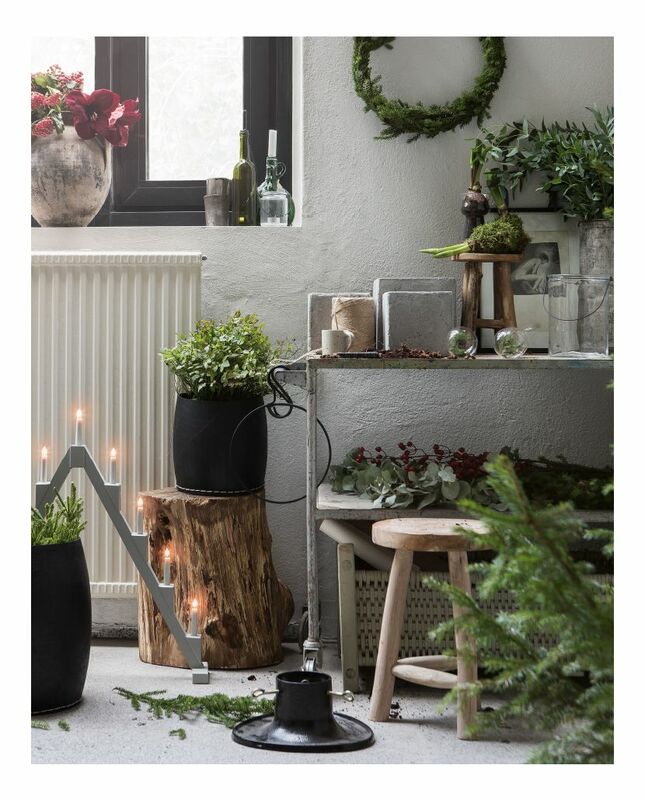 I love how they've used sprigs of fresh greenery too. It's so easy and uncomplicated to wrap beautiful gifts this way! I'll be back tomorrow to show you how I've created a cozy corner for my son's bedroom using things I found at Granit in Hamburg. See you soon! Big News: Jonathan Adler Germany + Meet Jonathan In Berlin!